Recently I’ve been looking to improve our app delivery QA. We’ve had to come up with a solution for our team to run the QA. So we got the test plan from them and currently the QA was being run from a spreadsheet… on one person’s machine. So after much chatting with our WMG Team, I lead the design and implementation of QA system we’d be more used to. This also meant rather than me diving is a developer and just writing some tests, I am utilising the resources available to me. Today we had to change a large process that wasn’t working. My process to solving a process. Sometimes improving it can feel a bit daunting, however, as you talk through it with the team, record small sticking points and pains, then the you should start to see a bigger picture. Always remember, you probably just need an evolution not a total revolution. Re-look at it again soon! Testing document, who has the latest copy and where? What should the developer work on next? Testing document has been moved to a Shared OneDrive for all the project Team. Should you allow clients into your bug tracking software? I believe yes, you should. With the proper caveats and training, your client should be able to see what’s going on. The client has fewer surprises, is in on the problems and #FTW’s. They feel more connected to the product and weirdly will start to feel more “onside”. Sure it might seem scary at first, but after the initial storming, the process does begin forming! It’s all about improving process through transparency. It talks a lot about transparency which I totally agree with. A more transparent team is a more efficient and better team. Proper transparency means the team’s (including the client) expectations are managed and less confused. 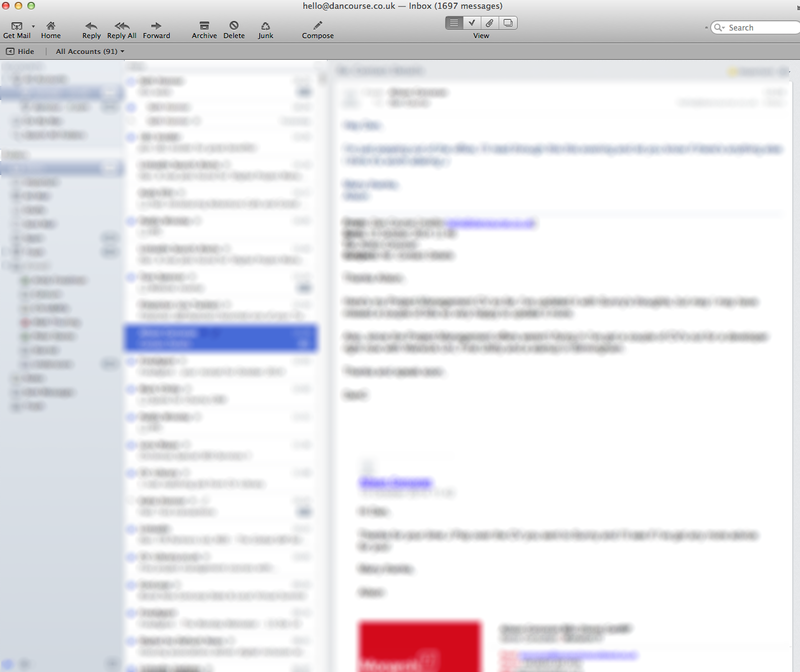 However I totally disagree with emails as the best tool for transparency. That is a Big Bad Decision. From my experience as a project manager at Thought Den and beyond, project emails only lead to a breakdown in communication and less transparency. Emails turn into a constant mailbox search for important project facts hidden away in a long thread. Emails go wrong, people get missed out and conversations become so indented you need a 90″ wide screen to read them. Conversations become overlapped, badly formatted and the whole studio gets into a major issue with, “which email is correct?”. Every efficient studio team needs a single, open, multi-platform and simple point of project contact. For me, that’s in the form of Trello, but JIRA and Redmine are both great too. 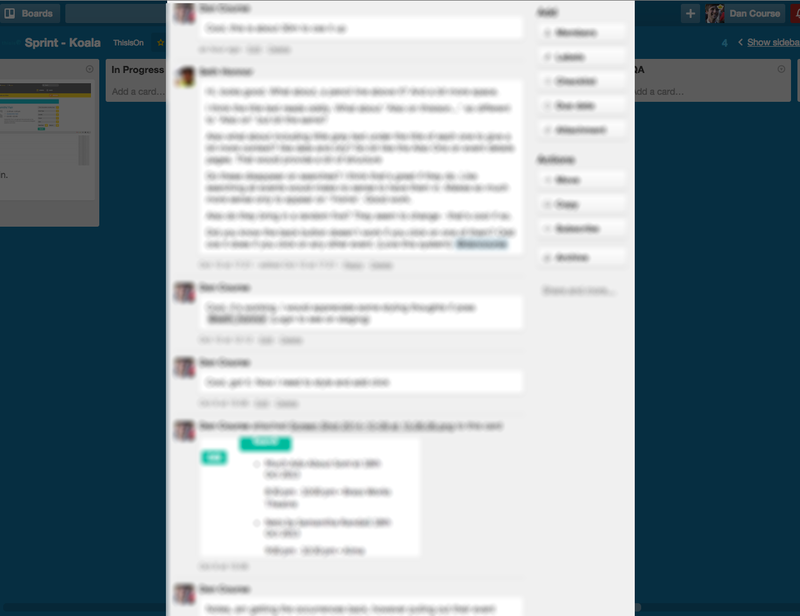 The Trello backlog board is where changes, tweaks and additions happen. It’s searchable, accessible by all the project team and it’s one shared place for everyone to work in. Also, if a client wants to know what’s going on presently with their project or maybe a scrum “pig” (a team member with skin in the game) has a question for them, the whole conversation should be kept in a Trello ticket in the sprint board. Here features are broken down by ticket and they maintain an easy to follow comments thread. No more missed emails by half of the team because they missed 1 important email. In fact, ANY changes and clarifications go in there. Even if they’re copied and pasted from an IRC chat or written straight after a phone call. They go in there, so make a good habit of it. That leaves an email replacement for day to day teamwork, transparency and cohesion which is best with daily Scrums on Google Hangouts, an IRC channel and some face to face time. The client may join in and “chicken” (no skin in the game) if they wish. It’ll give them more transparency on progress. Do do transparency, but keep away from emails. 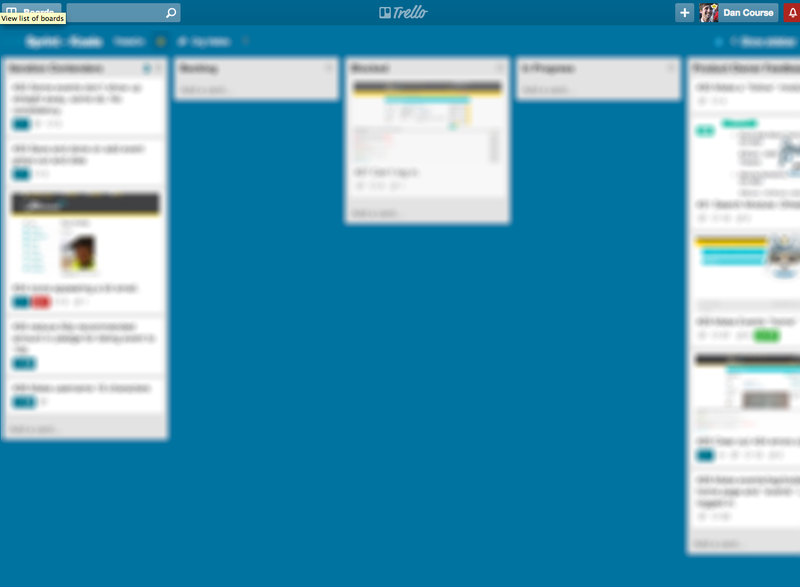 If like me, you occasionally need to copy Trello boards to create a new Agile Sprint the same as the last, it can be annoying clearing out all the duplicated tickets with it. And you can’t just click on, “delete list” and permanently delete a list, because it doesn’t exist. I wonder if you could write a Google Chrome plugin to sort it…?